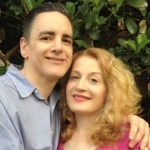 Universal Soul Love with David and Dr. Lana Love with special guest Elizabeth Joyce! Born as one of two sets of identical twins, Elizabeth Joyce has been psychic since birth. Named one of the World’s Greatest Psychics (Citadel Press, 2004), she is a spiritual healer and gives personal psychic readings worldwide. She teaches the work of Louise Hay, who was one of her mentors. Elizabeth Joyce writes a monthly astrology column in several publications, including Wisdom Magazine. Ms. Joyce is a professional Astrologer, Spiritual Healer/Counselor, Medium and Clairvoyant who interprets dreams and utilizes the Higher Dimension frequencies as well as Astrology in readings. Her TV Appearances include Unsolved Mysteries, Beyond Chance, and The Psychic Detectives. Ms. Joyce’s books, Psychic Attack -Are You A Victim and Ascension—Accessing The Fifth Dimension, are available at Amazon.com as well as her website. 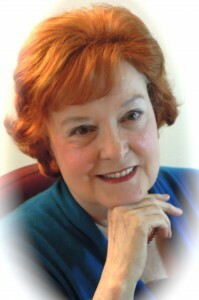 Named into Who’s Who In Metaphysics 2010, her website—http://new-visions.com/ has received over 1,000,000 visitors since 2005, and is one of the top-rated in her field. Her life and service is profiled in ten books. Elizabeth studied with Dr. Eric Pearl, is a Reconnective Healer, and now facilitates her own healing classes, using the Divine Seals and Spiritual Chakras from her latest book. On October 3, 2007, Elizabeth Joyce founded and heads the Bucks County Metaphysical Association, (thebcma.net) a non-profit organization to benefit the charities of Bucks County, PA. Besides traveling extensively, Elizabeth facilitates her women’s group while teaching Intuitive Awareness classes and Fifth-Dimension Spiritual Intensive workshops. She is frequently on the air at the X-zone with Rob McConnell. Elizabeth has a spot on the Masters Channel.com and her teaching videos will be available in early 2012. She is also in the process of producing a documentary and screen-play on her life experiences. Her memoir Unlimited Realities will be released in late 2012. Ms Joyce is located in Doylestown, PA. and Mahwah, Bergen County, New Jersey. For an appointment call . My work began gaining recognition in 1981. There are now more than 25 scrapbooks containing my lifelong work and dedication to discovering the keys on how to lead a life worth living. In addition to research and writing, I’ve played a few characters on several well-known TV shows, and I know of ten different authors who have written about my life and my story, and its impact on the lives of others. Some of you may also remember me as the “Leggs girl” in the early 1980′s commercials. ELIZABETH JOYCE grew up in Ridgewood, New Jersey. At eight years old, Elizabeth’s psychic powers were revealed to her family when she announced that the elderly tenant upstairs had died. (She died within three days of this prediction) Elizabeth’s grandmother, Ella Russell Hemphill from Warner, New Hampshire, was herself a medium and recognized Elizabeth’s gift at age five, when Elizabeth spent a year living with her. Priscilla, Elizabeth’s mother, grew up in a spiritual home where visions were commonplace. Although she herself was not psychic, Priscilla accepted it as “the gift of knowledge” as she did not like the word “psychic”. She was a bit afraid of the circumstances as she was a strong Christian and felt this “gift” was not readily accepted by the public. She did not welcome more eccentricity in her life, however, and would do nothing to encourage it in her daughter, the last born of two sets of identical twins. Their lifelong relationship very close and loving, but Elizabeth became estranged from her sisters at her mother’s death in 1991. These relationships are now in the process of healing. Thousands of people have witnessed Elizabeth Joyce’s incredible psychic powers on TV shows such as Unsolved Mysteries, Beyond Chance and The Psychic Detectives; She is a frequent guest on radio shows across the country and is now a “regular” on the X-Zone Radio with Rob McConnell. She has been profiled in Women’s Day Magazine, Wall Street Magazine, The National Enquirer, The New York Times and other national media. 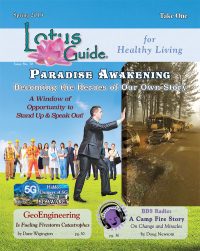 Elizabeth is the author of numerous articles and guided meditation audio cassettes. Her books Psychic Attack-Are You A Victim and Ascension – Accessing The 5th Dimension (preparing for 2012 and beyond) are available on Amazon.com as well as her website. Ms. Joyce is a member of the Academy of Religion and Psychical Research; profiled in ten books, three of which are The Psychic Yellow Pages (2001) by Dr. Hans Holzer, The World’s Greatest Psychics (2004) by Francine Hornberger, and the Akashic Who’s Who of Psychics, Mediums and Healers (2005) by Victorialynn Weston. Elizabeth Joyce is recognized for her clairvoyant ability to help find missing persons, dream analysis, past-life regression work, mediumship, astounding psychic gifts, energetic healing work, accurate predictions and spiritual guidance. Elizabeth is the founder of her organization, Visions of Reality, and teaches classes and seminars on improving your psychic and intuitive abilities. Elizabeth Joyce founded the Bucks County Metaphysical Association located in Doylestown, Pennsylvania; a non-profit organization dedicated to the knowledge and growth of understanding metaphysics. The BCMA is building a metaphysical library for the county’s use and donates proceeds from it’s functions to local charities.